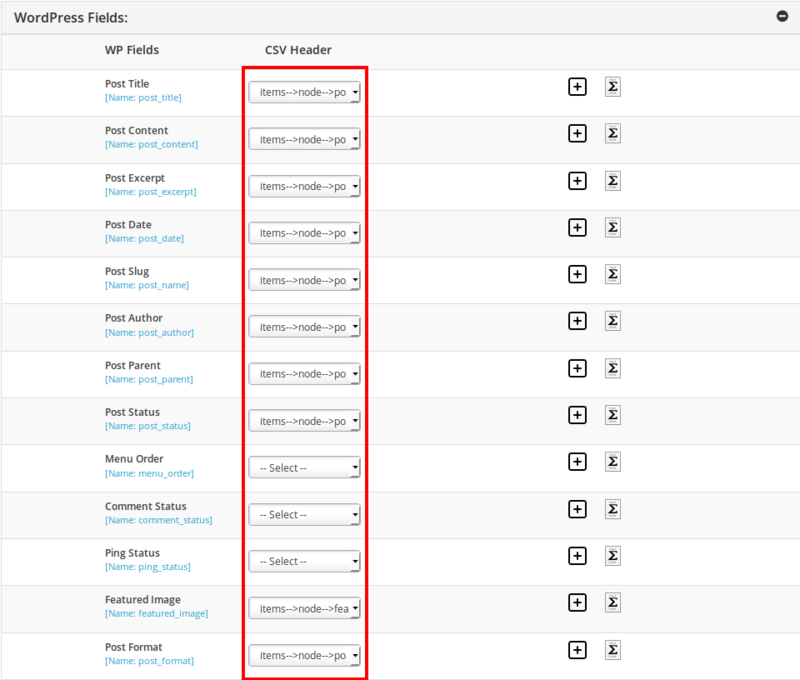 Version 4.3.0 is adding flavors to the existing WP Ultimate CSV Importer Pro. It is enhanced with XML file import, text file import and zip file import. It has a user-friendly flow by providing an option to register WP core custom fields on the flow of import process in mapping section of import. 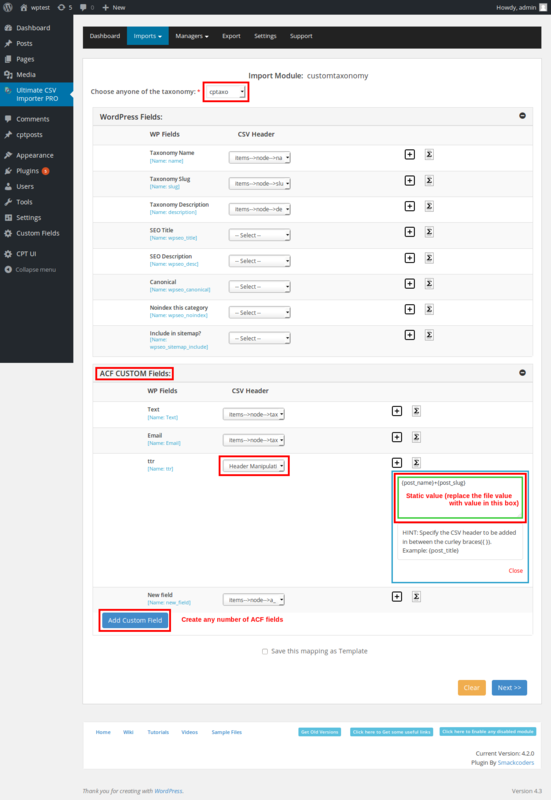 Enabled ACF custom field options in Custom Taxonomy module. XML import enables to import the XML files. The import procedure is as simple as that of the usual CSV file import. The mapping field dropdown data alone differs. Text file import is supported if the file is properly formatted. The text file import is same as that of the CSV file import. The Zip folder to be imported can contain any number of files but only one file can be uploaded at a time. The file format can be CSV, XML or text file. Choose the required file and submit. Added option to register WordPress core custom fields on the flow of import. Any number of custom fields can be added and mapped with the values in the imported file. Added option to include ACF custom fields in Custom taxonomy module. A New custom field can be registered on the flow of import and it can be mapped with the field header in the imported file. If the value in the imported file need to be replaced with new content click on static or dynamic/formula icon and enter the new content. Fixed the issue with enabling import/update button. Added an alert if the imported file format is not supported. Added restriction to the unsupported file format and included an alert to notify the unsupported file format. The import/update button will be enabled if the file format is CSV, XML, text or Zip. Fixed the issue with import by “choose file in the server” option. Fixed an issue in export with filters. Enabled the comments to export with specified author and comments in specified date. Fixed the issue in activating both the Free and Pro version of the WP Ultimate CSV Importer together. Fixed the notified security issues and updated the plugin with secured import.